It's been almost five years since we've heard new original music from Beck. Of course, I have to phrase it that way because in the interim we've had his record club covers project, sheet music, and only he can remember what else. This week saw the release of his latest full length, Morning Phase. 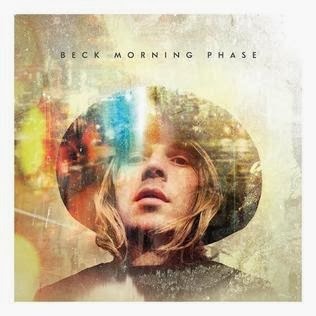 Instead of bursting back onto the scene with an absurdly infectious goofball anthem, Beck has chosen to ease into it with a sleepy album, that's heavy on the introspection. The record opens with the instrumental mood-setter "Cycle", that gets you into a dreamy head space. The feather-light wafting "Morning" is an uplifting beginning. It's bookended by the chiming "Waking Light", which serves to bring the sunset down on the collection. The echo-filled vocal harmonies of "Turn Away" are reminiscent of "Sound of Silence"-era Simon & Garfunkel (of all things). Much of the record, though, is just too laid back. The string-heavy "Wave" is snoozy at best. "Don't Let It Go" is absolutely listless. There are some signs of life. There's a slight twang that creeps into some of the Nashville-recorded tracks like "Say Goodbye" and "Country Down". "Blue Moon" picks the tempo up just enough to be engaging, yet not feel out of place with the rest of the mood. The most accessible cut is "Blackbird Chain". There's the beginnings of a funky beat that provides the tune with an understated rumble. This kind of polished and methodical album does have it's place in the Beck catalogue. Unfortunately, when it's the first thing you get after an extended layoff, fans can't help but feel disappointed. Best tracks: "Morning", "Blackbird Chain"